Many times we go into the New Year with resolutions, but lack actually being resolute. How much would our lives change if we lived with purpose and acted it out in every aspect of our lives? Year after year I have made many New Year’s Resolutions and year after year I have not succeeded in any resolution I have made. From weight loss goals to quiet time goals, they never go as I expect them to. 2019 is a New Year and I am asking myself the same questions…What do I want my resolution to be? How will I actually fulfill my resolutions? What if this year, instead of making resolutions, we decide to be resolute in the purpose God has given us? What does it mean to resolute? According to Google Dictionary, it means “to be admirably purposeful, determined, and unwavering”. Let’s take a minute and resonate on that definition. Purposeful, determined, unwavering. Those are very powerful words. What would our life look like if we were to exude those qualities in our relationship with Christ? 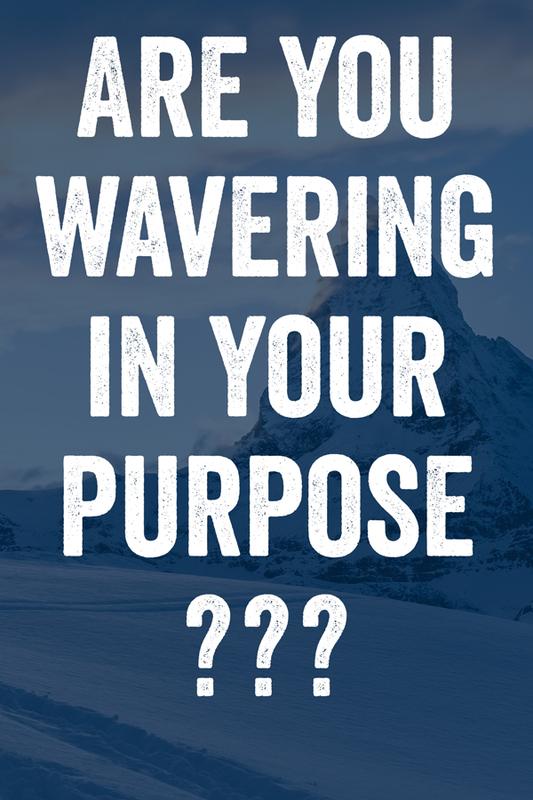 How often do we waver? Give up our determination? Forget our purpose? Don’t you realize that in a race everyone runs, but only one person gets the prize? So run to win! All athletes are disciplined in their training. They do it to win a prize that will fade away, but we do it for an eternal prize. So I run with purpose in every step. I am not just shadowboxing. I discipline my body like an athlete, training it to do what it should. Otherwise, I fear that after preaching to others I myself might be disqualified. I love the imagery this scripture provides with our faith being like a race. It provides the perfect example of what it looks like to be resolute in our beliefs and journies. We get caught up trying to find our specific function in this world that we forget what our ultimate purpose is… To love, follow, and serve our God. 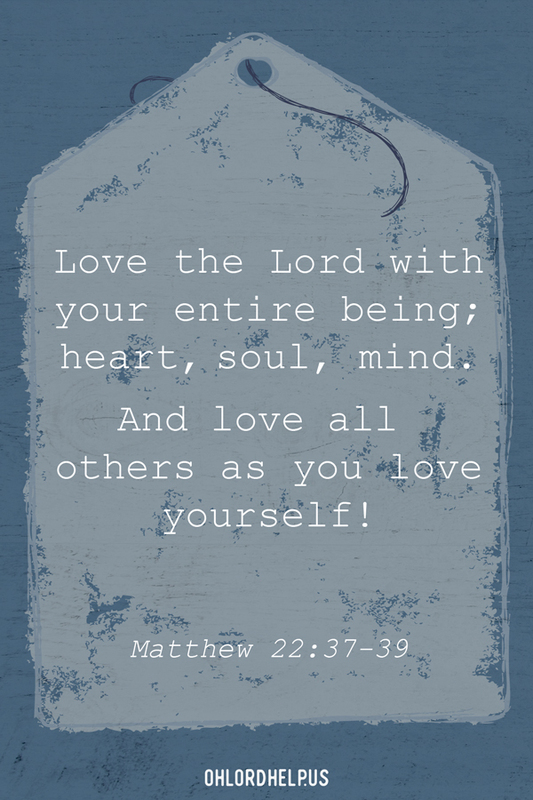 Love God, love others. That’s it. While many of us have even more specific callings, at the end of the day all followers of Christ were created for this common purpose. How resolute are we in this? Unfortunately, I know I am not resolute in loving God and loving others. I judge and gossip. I don’t trust His plan and deal with discontentment. This is not the picture of being resolute. What does it look like to be resolute in our purpose? Being resolute in our purpose means doing all things as if we are doing them for the Lord. In your place of work, in times of discontentment, in times of struggle and doubt; do all things as if doing them for the Lord. When we practice this, it will change every aspect of our lives. Our productivity at work will go up. We will treat our bodies better. Our relationships will become richer and stronger. We will act out our purpose in every aspect of our lives. We will be admirably purposeful, unwavering, and determined. So let’s go into 2019 not focusing on our resolutions but on our purpose. Doing all things as if unto the Lord.